** I WON ** Actually, I won 3 times! “Top Secret Recipes” had a photo contest. I happened to have made several recipes from Todd Wilbur’s Top Secret Recipe collection and sent 3 of them in and they WON! Now I have 4 “Top Secret Recipes” books. I’m very excited as you can tell 🙂 I wish I had taken more photos because I have made his Applebee’s White Chocolate and Walnut Blondie Recipe at least twice with great results. I have probably made 10 of his recipes and 1 didn’t turn out picture perfect… but still tasty. So, Top Secret Recipes is a thumbs up in my book. Book update: I finished “The Positive Power of Negative Thinking” by Julie Norem. What an eye opener! The author really does make a compelling case that not everyone can be an optimist – despite all of the known advantages. She discusses “defensive pessismism” which is a strategy used to cope with anxiety for some of us. Ahem. Basically, you run through all the negative scenarios that could happen (to a certain extent of course) and plan for them. Optimists like to distract themselves and “know” that everything will be okay. Defensive Pessimists plan each detail out instead. Once the speech, performance, paper, presentation, etc. is given, both groups do well. This is SOOO me. Would I recommend you go read it? Well, if interested just get the cliff notes or something. The book is redundant and not written expertly (split infinitives in a PhD book? ), but had good ideas. Our book club book for this month is “Light Between Oceans” by ML Stedman. It has over 1400 almost 5 star reviews on Amazon. The following books are also on my to-read list: “Defending Jacob” by William Landry, “Gone Girl” by Gillian Flych, and “The Secret Keeper” by Kate Morton. I started to read “Mindset” by Dweck, but the library keeps taking it away from me before I can finish. 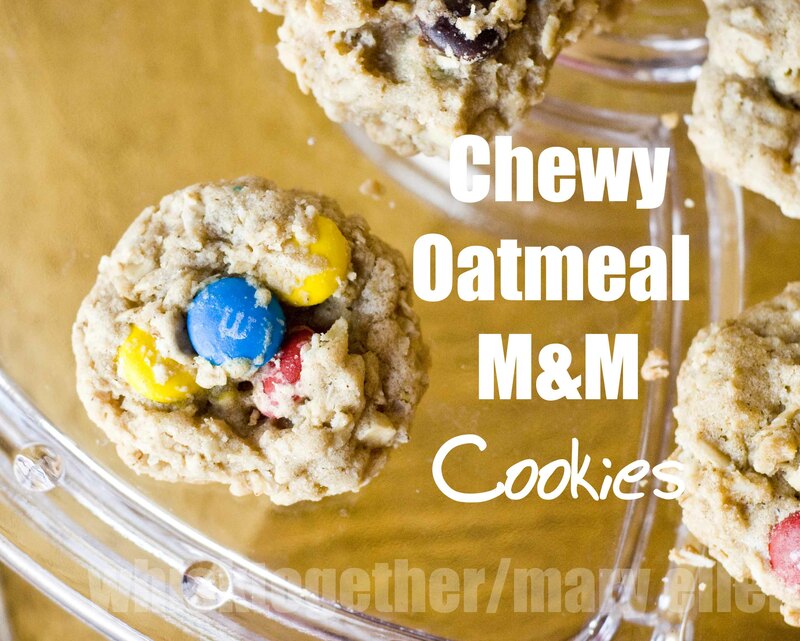 Recipe: I made these twice and have to say they are pretty darn tasty if I do say so myself. First, I made them with regular M&M’s because that is what I had on hand. We ate them all in like 2 days. 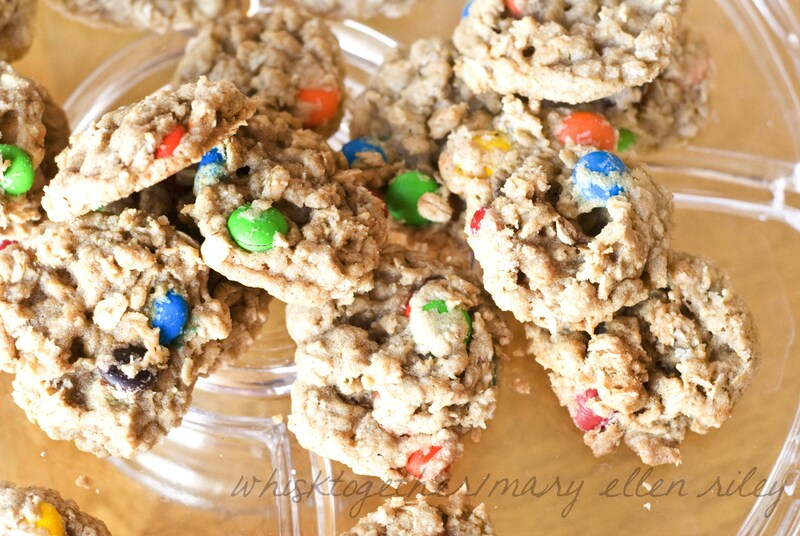 Second, I made them with mini M&M’s (which are NOT in every grocery store apparently) and enjoyed them, but my family agreed that we liked the regular M&M ones just a little bit better. I think we liked the chunks juxtaposition the chewy cookie texture. 1. Now your standard cookie recipe: First, cream the butter and sugars on medium for 1-2 minutes. 2. Add egg and vanilla. Stop and scrape the bowl to make sure it is mixed well. 3. Second: on low, add your dry stuff: baking soda, cinnamon, oats and flour. Stop the mixer once it is combined. Add your M&Ms in by hand. 4. Cover that puppy and put it in the fridge for 1 hour or overnight. 5. Preheat oven to 325 degrees. Scoop the dough into heaping tablespoons onto the greased cookie sheet. Bake for 11 minutes. My airbake pans took 1 minute longer… but start at 11 minutes. The middles will be very soft.